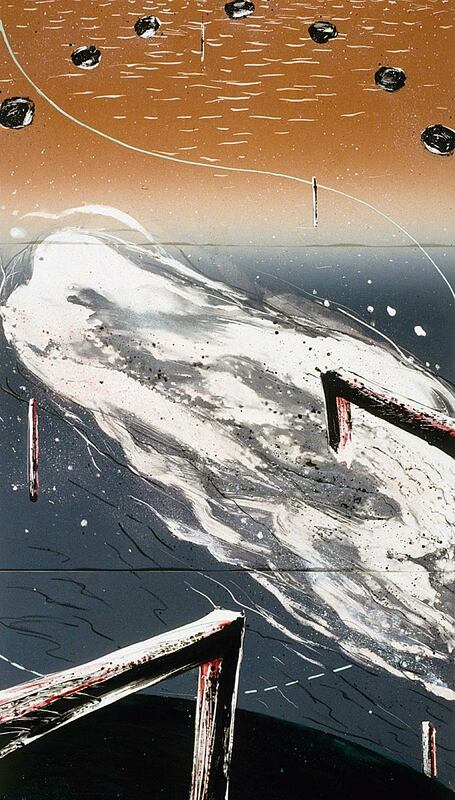 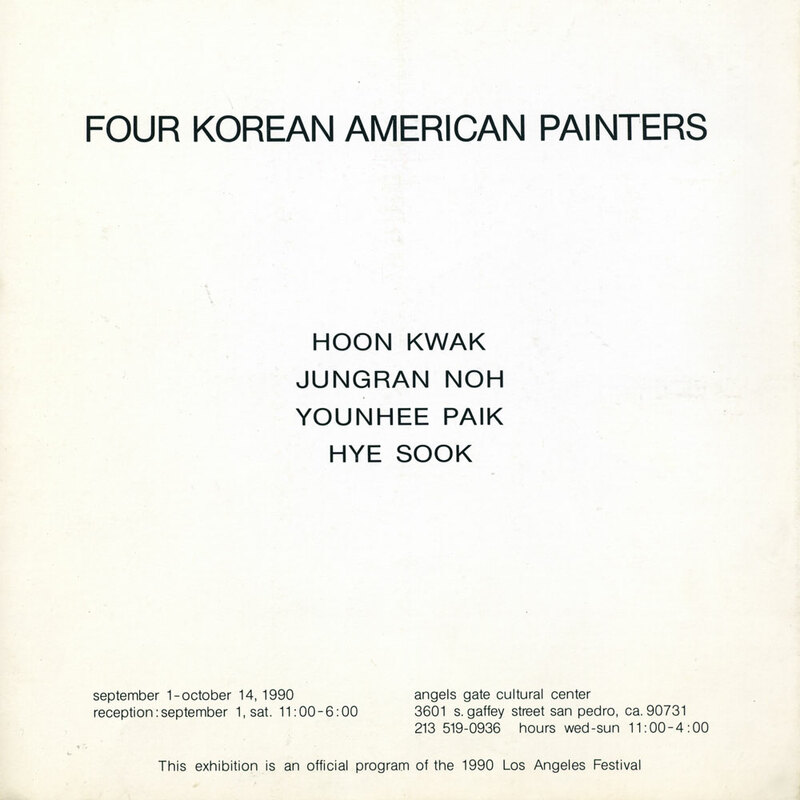 Exhibition brochure for "Four Korean American Painters" at Angels Gate Cultural Center, San Pedro, CA, from Sep. 1-Oct. 14, 1990, with artists Hoon Kwak, Jungran Noh, Younhee Paik, Hye Sook. 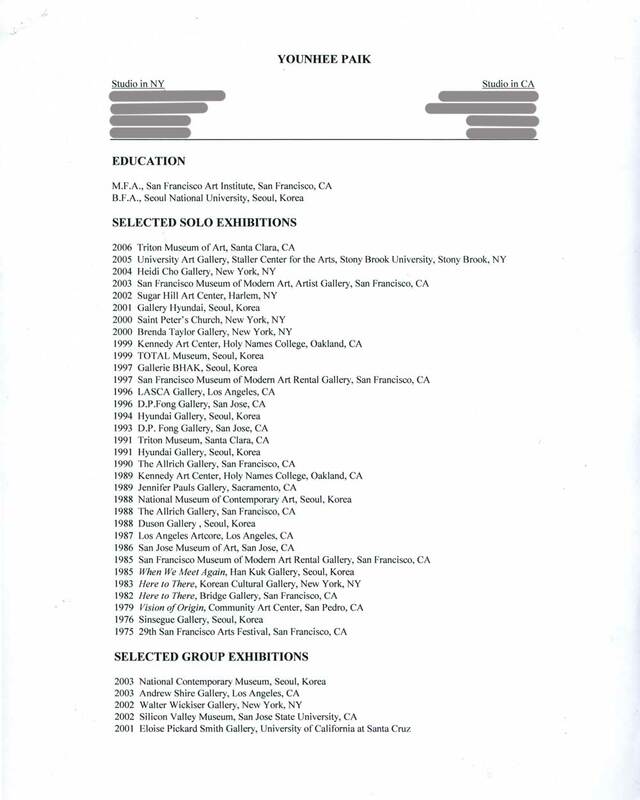 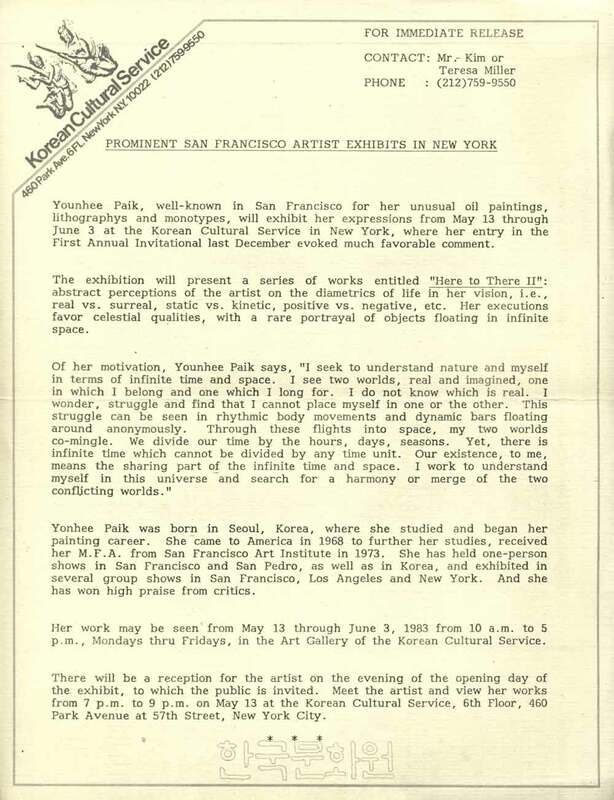 Exhibition press release for "Here to There II" at Korean Cultural Service, New York, City, May 13-Jun. 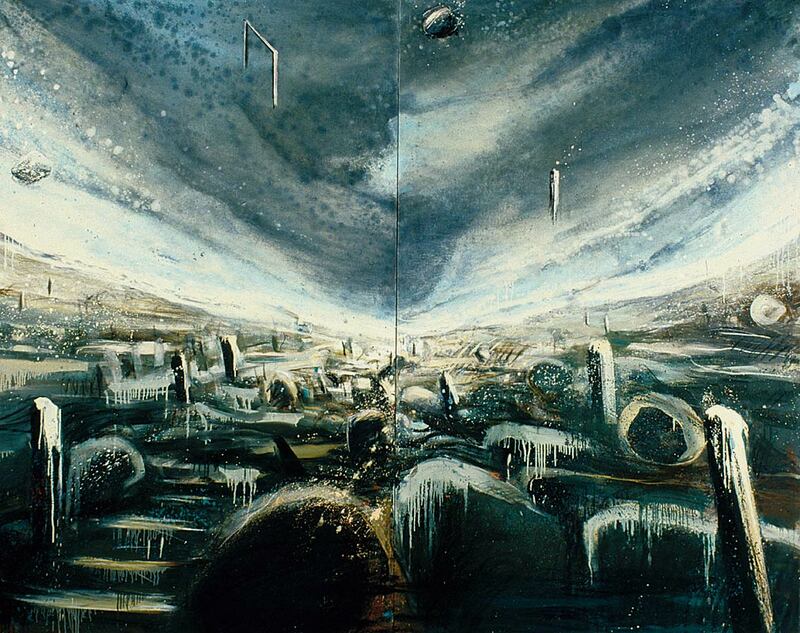 3, 1983. 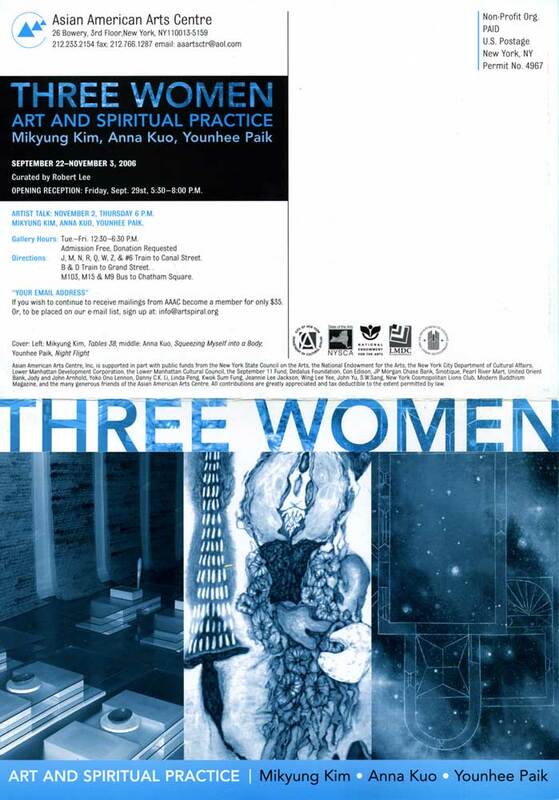 Exhibition flyer for "Here to There II" at Korean Cultural Service, New York City, May 13-Jun. 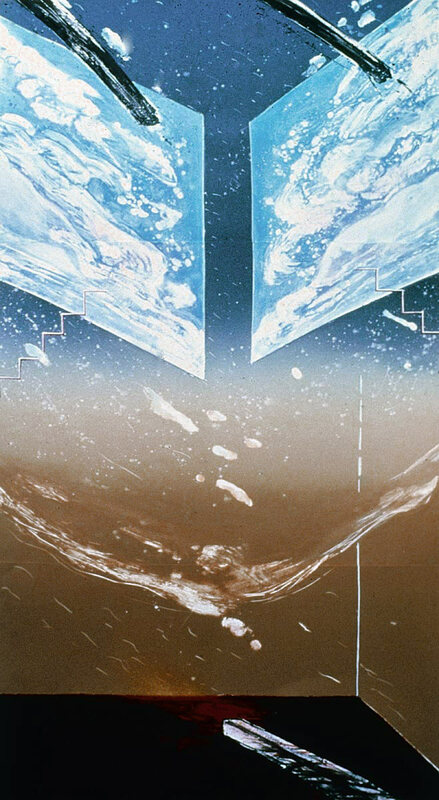 3, 1983. 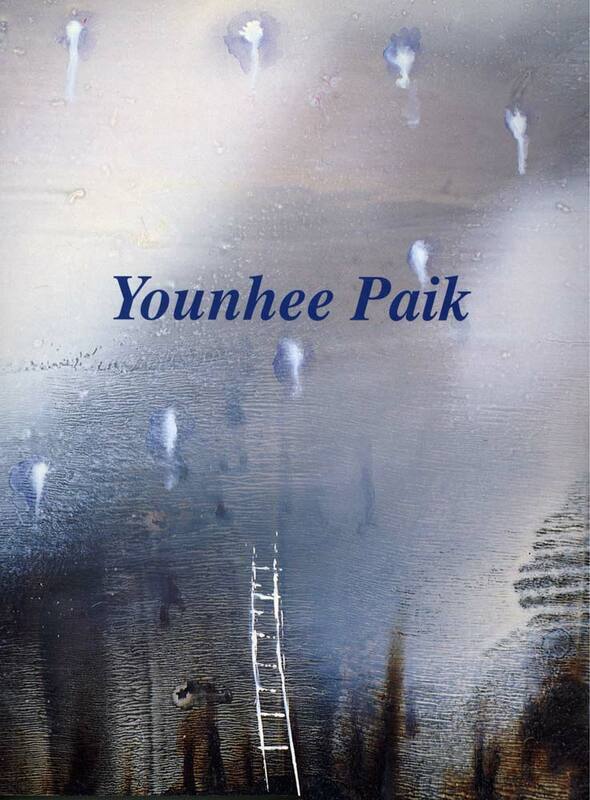 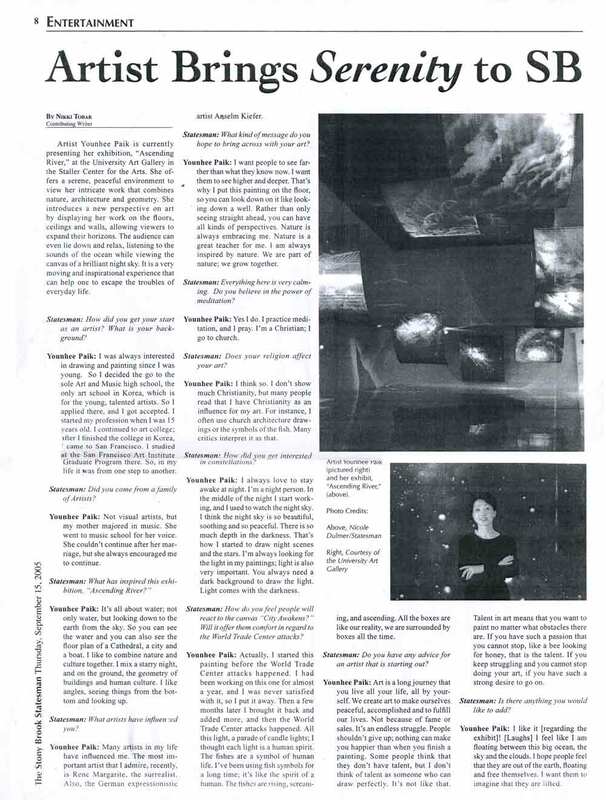 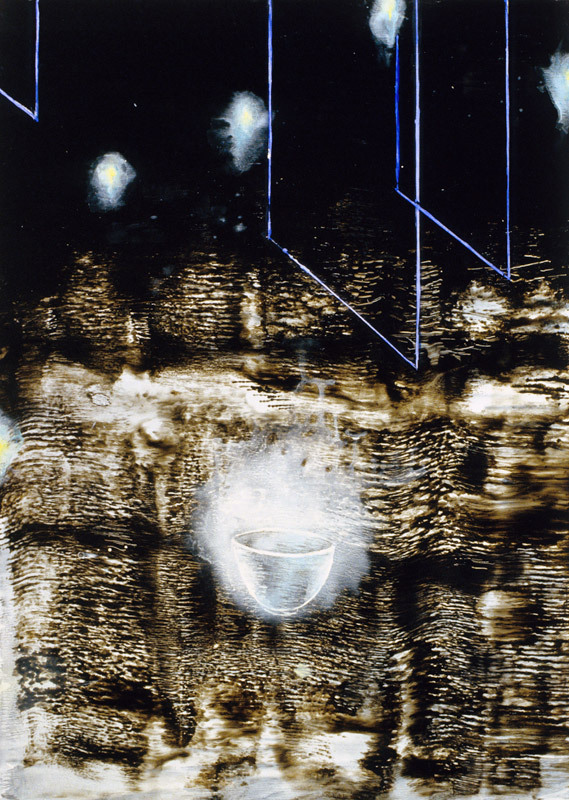 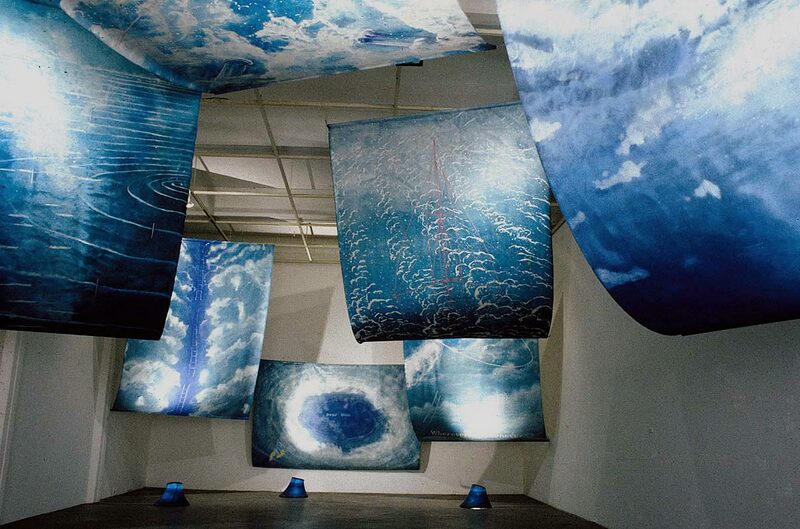 Essay from exhibition catalog for "Younhee Paik: Paintings and Ceiling Installation" at Total Art Museum, Seoul, Apr. 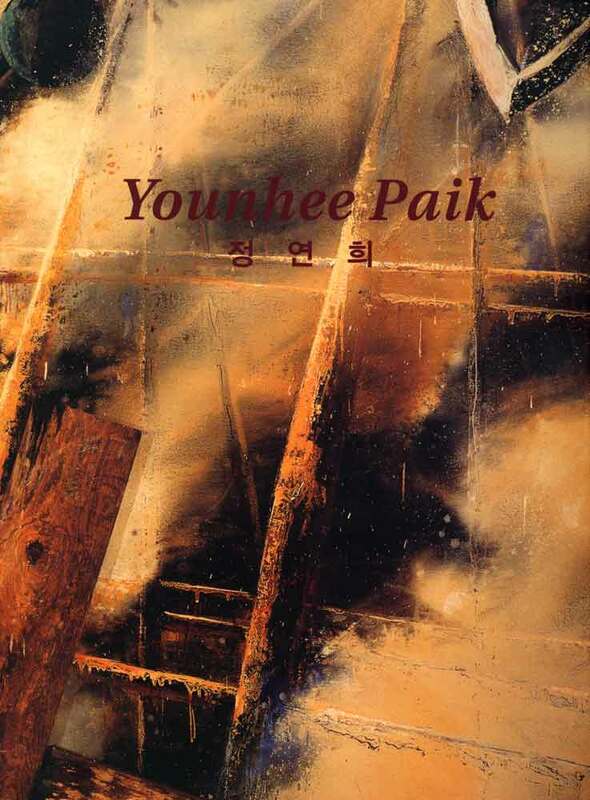 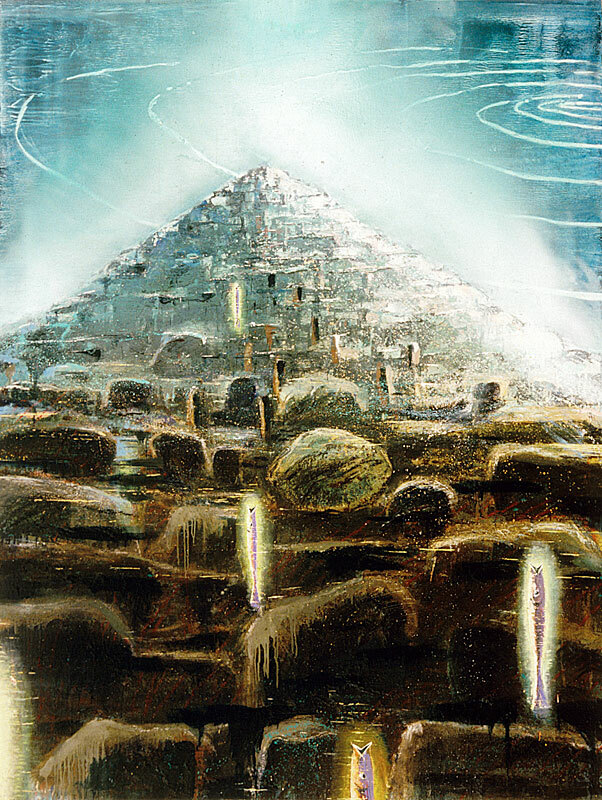 20-May 16, 1999. 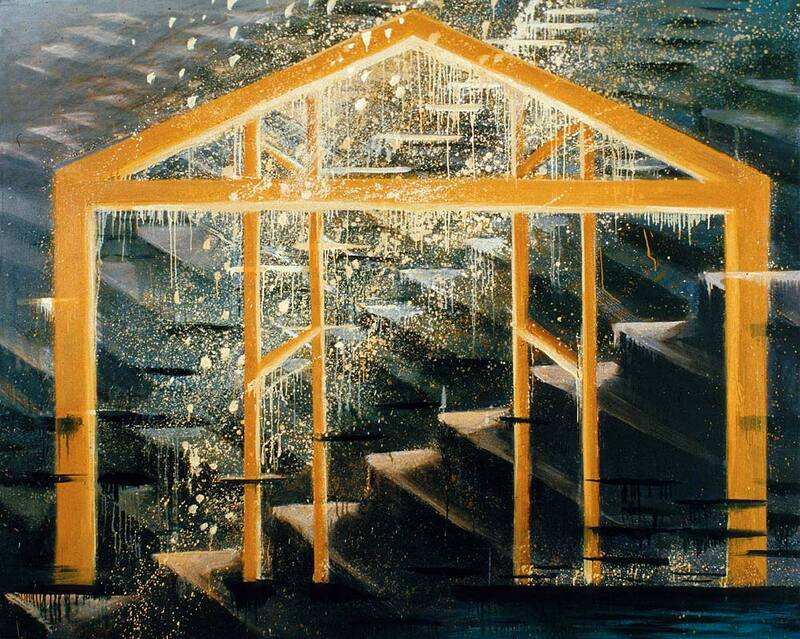 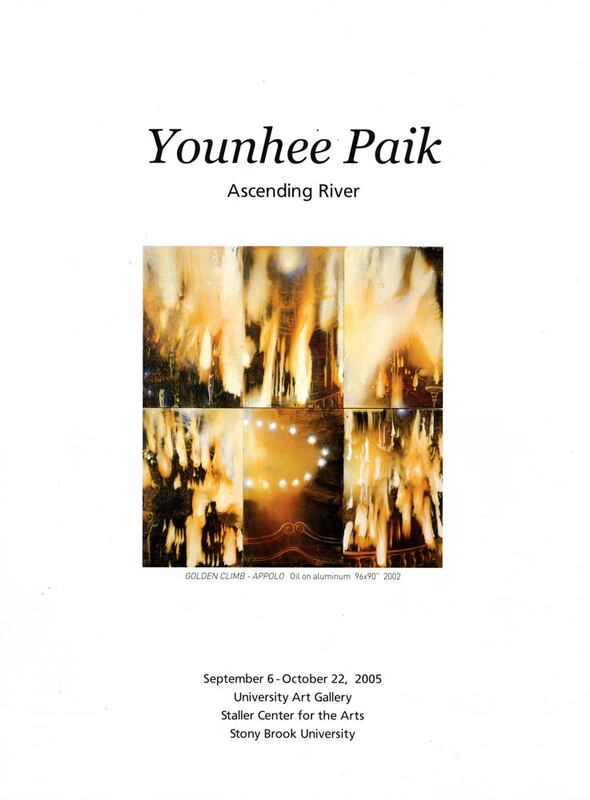 Essay from exhibition brochure for "Younhee Paik: Ascending River" at University Art Gallery, Staller Center for the Arts, Stony Brook University, Stony Brook University, from Sep. 6-Oct. 22, 2005. 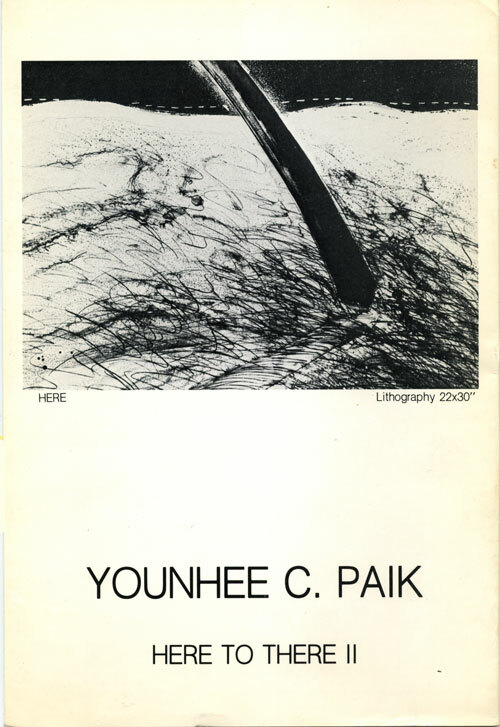 Essay from exhibition catalog for "Younhee Paik: The Fifth Season" at Gallery Hyundai, Seoul, from Nov. 8-21, 2001. 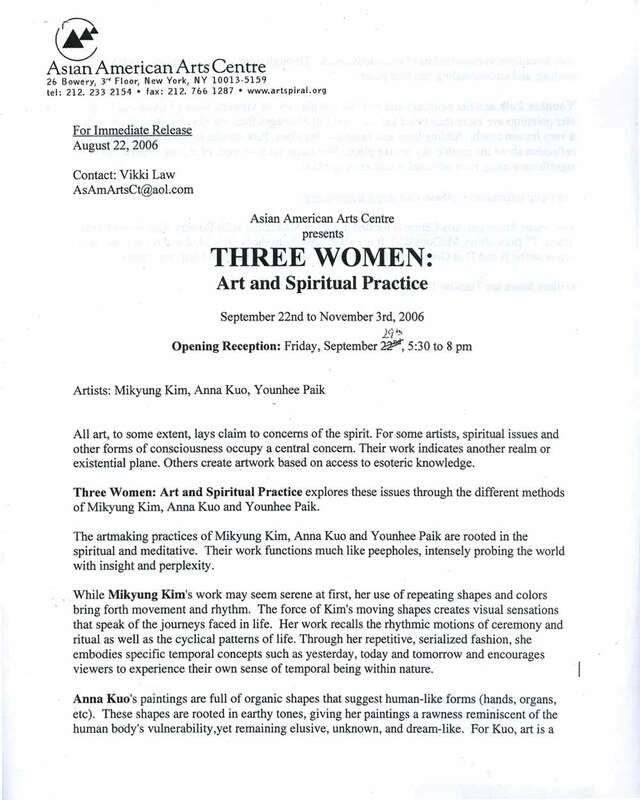 Exhibition flyer for "Three Women: Art and Spiritual Practice: Mikyung Kim, Anna Kuo, Younhee Paik" at Asian American Arts Centre, New York City, from Sep. 22-Nov. 3, 2006, with artists Mikyung Kim, Anna Kuo, Younhee Paik.